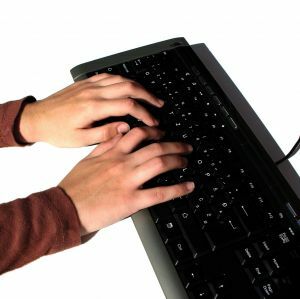 A typing test is the most straight forward type of skills testing done on a pre-employment basis. A candidate is administered a timed typing test and a calculation is done by the computer to give a words per minute score along with an error total. Each person is given the same material to type. Everyone is treated equally and the results provide an employer a measurement of the candidates skills in typing. The perfect pre-employment assessment! This list is by no means comprehensive. It just touches the surface. You can purchase competency tests for everything from IT and software to machinists and electricians. The more narrow and specific the testing requirements, the more likely you may need to create your own. There are some pitfalls to creating your own but if you are in a niche industry you may have to. The basic pitfall is validation. This means you should be actually testing if not the direct skills required for the position, at the very least some of the underlying skills to be successful in a position. Another way to put that is you don't give a typing test to an auto mechanic. That is a bit overboard but maybe more to the point, giving a 10-key test to a receptionist is not likely to be critical in the success of an employee. One last thing to consider is hiring an industrial testing consultant to help you design your test. There are some considerations you may want to take into account. First be sure any package you purchase has some kind of validation. Validation means the test in some measure represents the actual skills used in a job requiring the skill. The easy example above is the typing test. Typing is typing. Other types of tests are not so easy. For example, you require beginner MS Excel skills for a position. In most cases, this means being able to open up a spreadsheet or creating a new one. Entering and formatting the data or cells are essential skills. A beginner would not be expected to write conditional formulas or create pivot tables. Therefore the test should reflect this fact and test level of skills required to be considered a proficient beginner Excel user. Another issue to consider is scoring. Different products measure proficiency differently. Be sure that you understand the scoring method and more importantly what it means. Continuing with the MS Excel example, if a candidate has been tested before on a test program and tells you they scored a 90% for beginning Excel. That sounds good. Then you test them on your system and they measure 75%. That doesn't sound good. Why? In a word it is methodology. Test methodology plays an important part in understanding the meaning of the test result. For example, staying again with our MS Excel example, on the first test it was a 20 question multiple choice. The second test required the user to interact with a spreadsheet application and perform the required task. If there was a misstep in the process or a step was skipped, the answer was considered incorrect. No partial credit! If I were looking at which test more accurately assessed the skills required for the position, I'd want to use the interactive version. The first test shows knowledge. The second test shows applied knowledge. As a hiring manager I think we all want applied knowledge. The lesson is take the time to understand the test you choose and if at all possible, try and test for applied knowledge of skills required to make a candidate successful in their position.